A few weeks ago, I had the great opportunity to do a guest post for Susan over at The Foodette. In case you didn’t get a chance to view it, here is our recipe for Dilly Beans. Dilly Beans, otherwise known as ‘Pickled Green Beans’, is a great way to preserve those tasty fresh green beans that become abundant in our gardens and farmers markets. They are delicious on salads or as part of antipasto platters. My personal favorite though is serving them as a garnish with a Bloody Mary! I’m passing this recipe on to my friend who has more green beans in her garden than she knows what to do with. This is a great tip – our CSA has been throwing us LOTS of beans and pickled ones would be great to pair with salads. I never heard of pickling beans. I bet they are tasty. I don’t drink Bloody Marys so will have to try them on salads. I did see that. Mainly because beans and legumes are my fave food. It is true I just got a 3 pound bag of kosher cooking salt from America because we don’t have it here and my breadsticks were a bit salty. Next I might have to get Aleppo flakes because I can’t find them anywhere here either. I know they would be a hit. Perfect for football! They look so good! I swear I end up adding every recipe of yours to my Pinterest page of recipes to try! These look delicious. I’ve been wanting to can for awhile now, so this is the perfect addition to my recipe list so far! 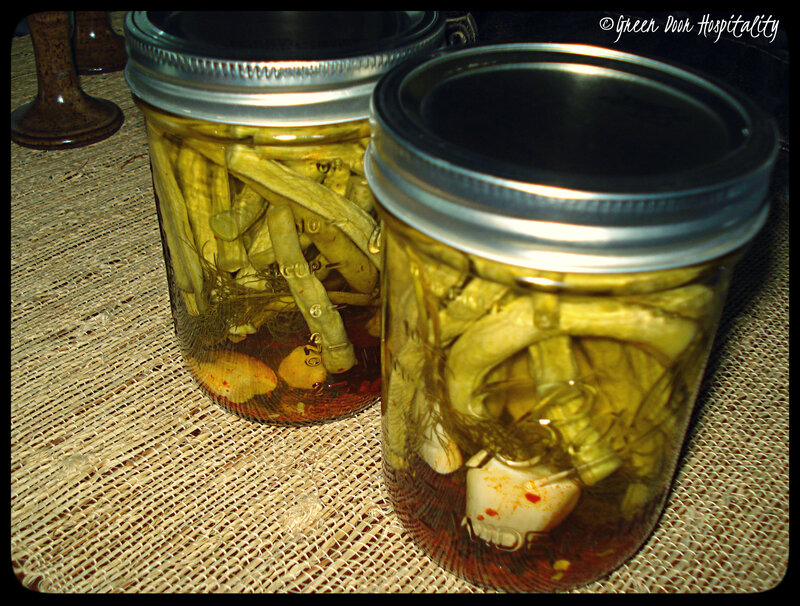 This entry was posted on September 5, 2013 by Jessica Romigh in Pantry Preserving and tagged aleppo red pepper flakes, canning, dill, dill sprigs, dilly beans, distilled white vinegar, garlic, gluten-free, green beans, preserving, The Art of Preserving, vegan, vegetarian, white vinegar.